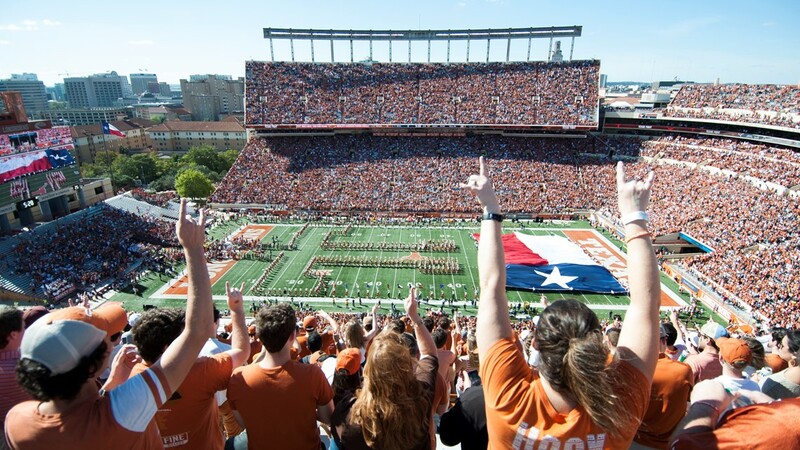 Here is an updating LIVE blog of the Texas-West Virginia football game. Ehlinger threw a pass intended for Heard, which was almost intercepted but dropped. There is one second left on the clock. Time to send a Hail Mary. Ehlinger completed a pass short and the backyard play began. 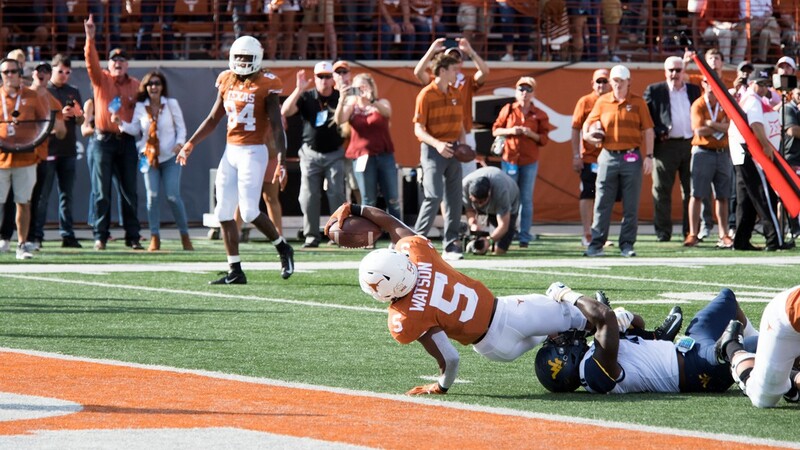 The laterals eventually fell into the hands of the Mountaineers and Texas lost, 42-41. McKoy started the drive with an eight-yard run. Grier hit Jennings for seven more yards and a first down. Pettaway picked up seven yards to the Mountaineer 47-yard line. Grier completed back-to-back passes to Stills and Maiden to bring the Mountaineers to the Texas 38-yard line with just over a minute to go. Pettaway ran the ball up the middle to the Longhorns 33-yard line. Grier dropped one in the bucket over the top of the Longhorns defense for a 33-yard touchdown to Jennings. West Virginia is electing to go for two and try to take the lead. 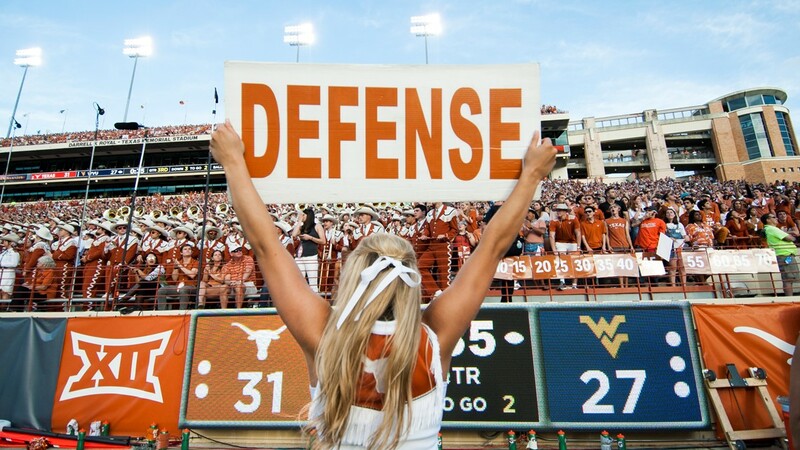 Timeout Texas -- each team has one timeout left. There are 16 seconds left in the game. Grier completed a slant pass to Stills but Texas called it final timeout before the play started -- West Virginia will have to convert again. Grier took a quarterback draw to the left end for the two point conversion. West Virginia leads 42-41. Grier was called for unsportsmanlike conduct, which will be enforced on the kickoff. Watson started the drive with a run up the middle for no gain. 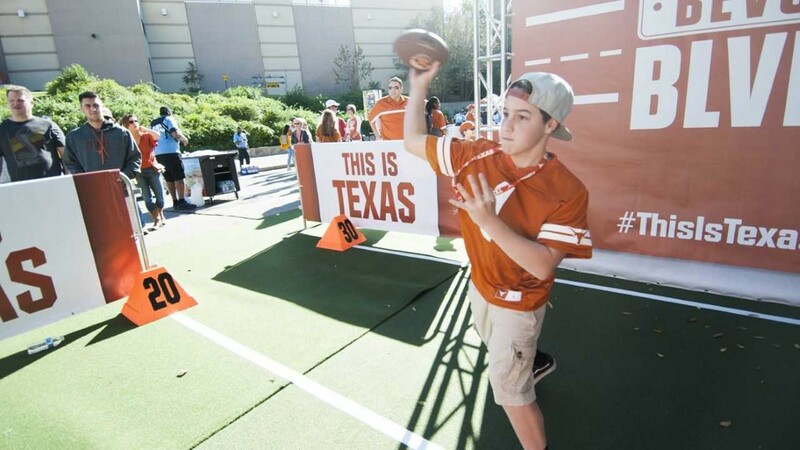 Ehlinger connected with Beck over the middle on a 19-yard pass play to the 41-yard line. Ehlinger scrambled for six yards to he 47-yard line. Ingram carried a zone read handoff up the middle for a gain of two yards. On third and two, Ehlinger completed a three-yard pass to Beck. Texas struck back with a double move on the outside to Duvernay -- a 48-yard bomb to take a 41-34 lead with 2:34 remaining. McKoy started the drive with a three-yard draw play. Grier converted the first down with an eight-yard pass to Wesco. McKoy picked up three yards on a first down rush and then caught a pass for another 10 yards. Pettaway gained eight yards on a run to the left. Grier took a shot to Stills in the end zone, but Kris Boyd broke up the pass. West Virginia used its first timeout of the half with 7:18 remaining in the game. McKoy picked up the first down on third and short with a 19-yard run up the middle. Grier hit Wesco for 10 more yards and Pettaway finished off the drive with a 13-yard touchdown run. West Virginia tied the game 34-34 with 5:40 remaining. Watson gained one-yard on the first play of this drive. Watson picked up the first down on the next play with a 14-yard run. Watson got the ball again for a gain of six yards to bring UT to midfield. West Virginia is getting a heavy dose of Watson -- another first down conversion for the running back. Keep... giving... Watson... the ball -- another first down run for Watson, this time for 12 yards. On the next play, a Watson run was wiped by a holding penalty. Ehlinger took a quarterback draw for five yards and then found Humphrey for no gain. On third down, Ehlinger scrambled for 14 yards to set up fourth and one from the 21-yard line. 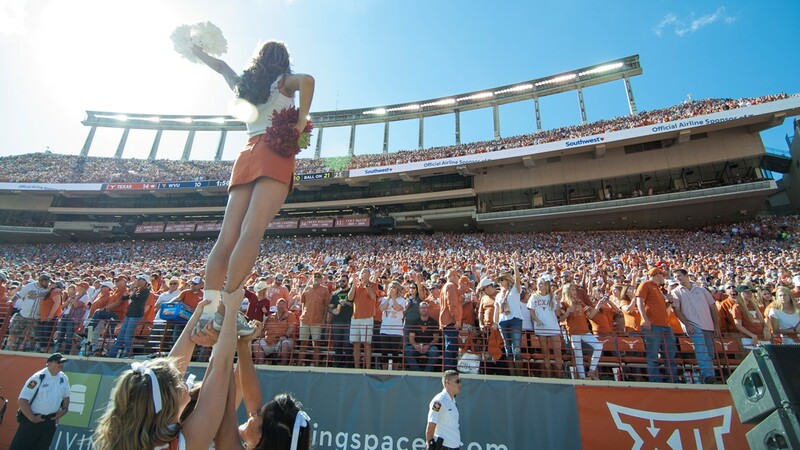 Texas converted the field goal and extended its lead to 34-27 with 9:38 remaining in the game. Pettaway started the drive with an 11-yard draw play. Grier threw a short swing pass to Pettaway for four yards and then connected with Simms for 25 more yards. Grier continued his groove and connected with Trevon Wesco over the middle for a gain of nine yards. Brown lost one yard on a run to the left and West Virginia was set up with third and short from the Texas 21-yard line. McKoy did not get the first down after his one-yard rush. West Virginia decided to go for it on fourth down and Texas stuffed the run short of the first down. 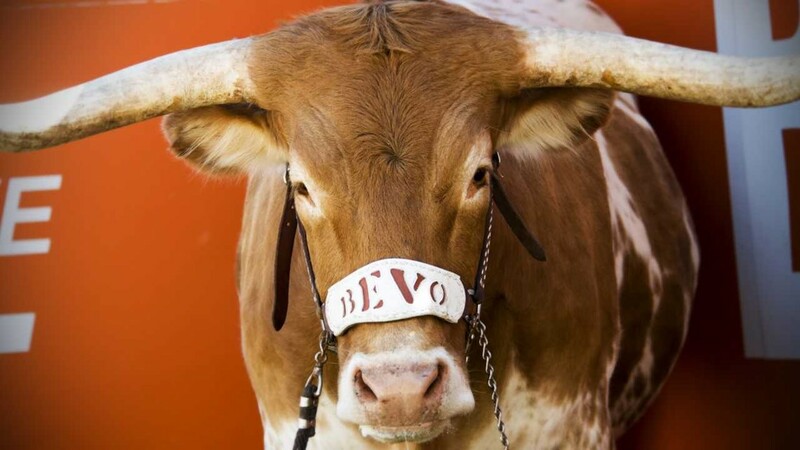 Texas takes over on downs from its own 19-yard line. This huge momentum swing ended the third quarter. Ingram was stopped for a two-yard loss. Ehlinger connected on a 15-yard comeback route to Johnson for a first down. Ingram plowed up the middle for a strong run of five yards to the Mountaineers 38-yard line. On third and six, Ehlinger rolled to his right and threw up a prayer under pressure to Humphrey for 29 yards. Ehlinger connected with Duvernay on an out route to the one-yard line. Ehlinger took a quarterback blast to the right and lost four yards. Texas used its first timeout of the second half. On third and goal from the five-yard line, Ehlinger scrambled to his left and threw an incomplete pass in the end zone. Texas converted the field goal and lead 31-27. McKoy started the drive off with a three-yard run. Grier completed back-to-back passes to Simms and Tevin Bush. On second down, McKoy ran up the middle to set up third and two. Bush got the ball on a jet sweep and the Texas defense stopped the run for a three-yard loss. 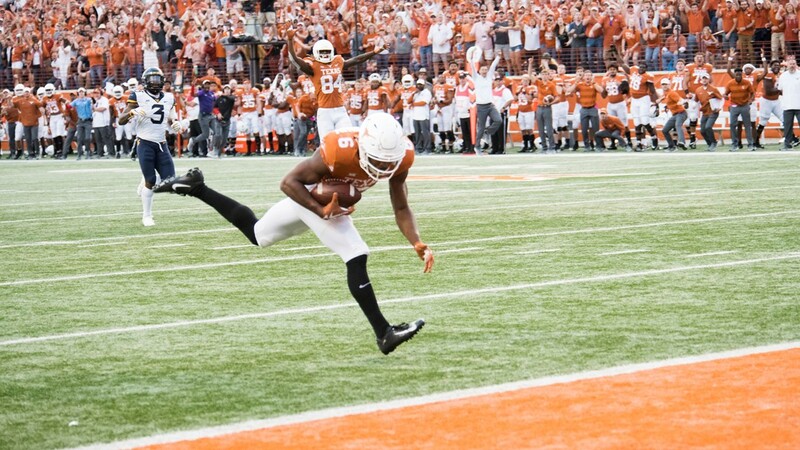 On the punt, Texas' D'Shawn Jamison returned the kick 29 yards to the Longhorns' 46-yard line. Ehlinger took a zone read keeper for nine yards and Watson moved the chains with a two-yard run. After an incomplete pass, Ehlinger found Humphrey for 11 yards and another first down. Watson picked up two yards to bring the Longhorns to midfield. Watson carried the ball again up the middle to set up third and two from the 45-yard line. Watson picked up the first down with a carry up the middle. Ehlinger connected with Humphrey on a crossing route, Humphrey fumbled, but the ball was batted out of bounds. UT was bailed out there. Watson took another zone read carry up the middle to bring the Longhorns inside the 10-yard line. A quick slant to Johnson put the Longhorns inside the five-yard line. 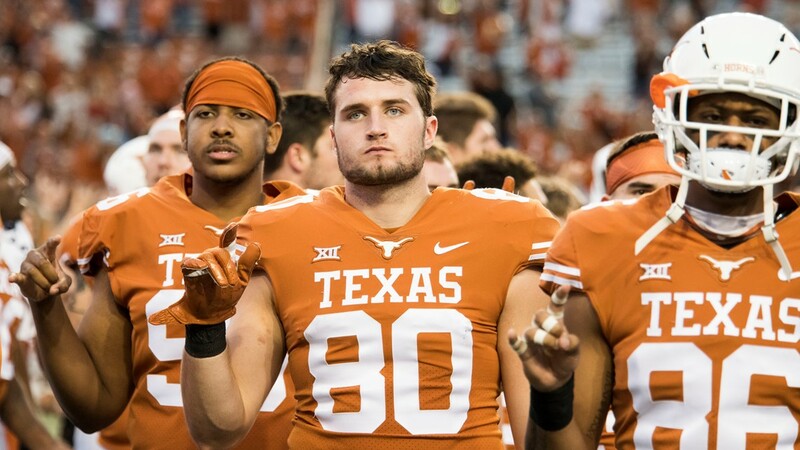 On fourth and short, Ehlinger got a fresh set of downs for UT inside the five-yard line with a one-yard run on the original mark. The officials reviewed the play and determined that Ehlinger was short of the line to gain. West Virginia took over on downs at the four-yard line. Ehlinger checked the ball down to the running back and the pass was dropped. Daniel Young carried the ball up the middle for a short gain and this play brought it to halftime. Texas leads by one at the break, 28-27. A delay of game penalty backed up the Mountaineers to the 20-yard line. McKoy started this drive with a 15-yard carry to the 35-yard line. Grier sailed his first down pass out of bounds. A defensive holding penalty moved the chains to the 45-yard line. 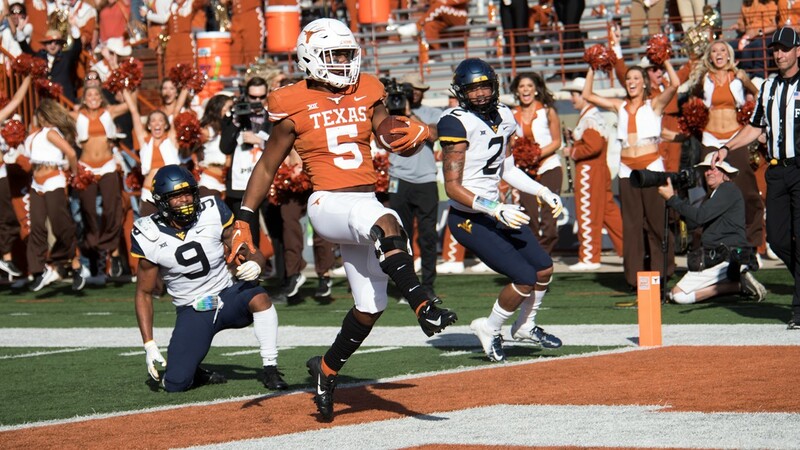 McKoy took a draw play for eight yards, but lost one yard on the next play to set up third and three from the Texas 48-yard line with one minute and 26 seconds left in the first half. Grier's pass was batted incomplete by Kris Boyd, but Boyd was called for pass interference and the drive was kept alive. Grier escaped pressure and scrambled for one yard to the Texas 43-yard line. West Virginia committed a false start penalty on third down and were backed up to the 45-yard line. On third and 11, Grier converted the first down with an 11-yard completion to Haskins. Grier checked the ball down on the next play Haskins and West Virginia called timeout with 24 seconds remaining in the first half. Back-to-back incomplete passes along the left sideline set up West Virginia for a field goal attempt. 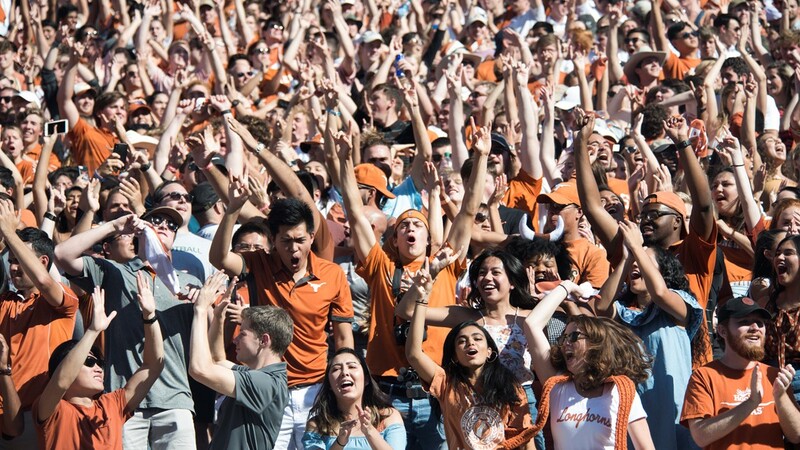 West Virginia converted the field goal, but Texas still leads 28-27. After back-to-back short carries by Ingram, Texas was set up with third and 10. Ehlinger flung a pass over the middle intended for Duvernay, which fell incomplete. A defensive holding penalty gave the Longhorns an automatic first down. Ehlinger connected with Beck in the flat for a gain of six yards. Ingram picked up the first down with a four-yard carry to the right sideline. The Longhorns crossed midfield after Ehlinger connected with Humphrey on a stop route. Ehlinger continued to nickle and dime his way down the field with another short pass -- this time an out route to Duvernay for six yards. Ehlinger picked up a big chunk of yards after he completed a pass to Humphrey for 19 yards to the Mountaineer 23-yard line. Ehlinger's rhythm was interrupted on the next play, as he took a nine-yard sack. However, Ehlinger completed a swing pass to Watson along the left sideline and the running back took the catch 32 yards for a touchdown. Texas leads 28-24. After an incomplete pass, Grier found Stills for a gain of seven yards and connected with Tevin Bush for eight more yards. Grier started the next set of downs with another incomplete pass on first down. Pettaway picked up nine yards to set up third at short near midfield. On third and one, Grier ran a quarterback sneak for a first down. Grier threw yet another incomplete pass on first down and an ineligible man downfield penalty backed the Mountaineers up the 45-yard line. On the next play, Pettaway broke a few tackles and sprinted for a 55-yard touchdown run. West Virginia leads 24-21. Ehlinger kept the ball on a zone read for 13 yards. Ehlinger completed an out route to Collin Johnson for six yards. Tre Watson carried the ball up the middle for a two-yard gain and Ehlinger moved the chains as he scrambled to midfield. Watson carried the ball on a zone play up the middle again for a gain of five yards. Ehlinger looked over the middle for Jerrod Heard, and Heard dropped the pass after getting drilled by a West Virginia defender. Ehlinger connected with Johnson for a 45-yard touchdown pass, but the play was wiped due to offensive pass interference. On third and 20, Ehlinger completed a 17-yard pass to Duvernay. Texas went for it on fourth and three, and Ehlinger completed a 26-yard pass to Johnson. Ehlinger's next pass to Watson fell incomplete. Watson gained a first down inside the five on a 12-yard carry and capped off the drive with a five-yard touchdown run up the middle. Texas leads 21-17. Grier completed an 18-yard touchdown pass to Stills on the first play of the second quarter. West Virginia leads 17-14. Grier completed a 15-yard swing pass to McKoy, but a holding penalty backed up the Mountaineers to the 20-yard line. Grier completed a 10-yard pass to Ryan Haskins. Grier's second down pass was complete to Stills for a gain of one-yard. On third and four, Grier completed a swing pass to McKoy for gain of 37 yards to the Texas 32-yard line. Back-to-back incompletions set up third and long. On third and 10, Grier threw another incomplete pass over the middle. A personal foul penalty on Texas moved the chains to the Texas 22-yard line. McKoy picked up four yards on the carry and this ended the first quarter. Texas leads 14-10. Due to the unsportsmanlike penalty, West Virginia had to kickoff from its own 10-yard line, and Humphrey returned the kick to the Mountaineers 39-yard line. Ingram started the drive with a six-yard run. Ehlinger followed that up with a quick 12-yard stop route to Duvernay. Ehlinger completed a 21-yard touchdown pass in the middle seam to Humphrey and Texas regained the lead, 14-10. Grier attempted a pass over the middle to Marcus Simms, which was dropped. Grier completed his next pass to Simms for a gain of 11 yards. Martell Pettaway gained nine yards on the first down carry. Grier completed a quick screen pass to David Stills, but a block in the back backed up the Mountaineers. Grier found Stills again on the next play for a 60-yard touchdown pass up the middle seam. After the extra point attempt, a West Virginia player was ejected from the game for an unsportsmanlike penalty. Ingram carried the ball on first down for a gain of three yards. Ingram took a speed option pitch to the left side of the field for a gain of seven yards and a first down to the West Virginia 43-yard line. Ehlinger rolled out to his left on a play action pass and tried to connect with Duvernay but the pass fell incomplete. Ehlinger scrambled to his left for a 13-yard gain to the West Virginia 30-yard line. Ehlinger threw a quick screen pass to Humphrey for a gain of six yards. Ehlinger floated another pass for senior tight end Andrew Beck over the middle, but it was just a little high. On third down and four from the 24-yard line, West Virginia brought a ton of pressure and Ehlinger made a 23-yard throw off of his back foot to Humphrey. The play was reviewed and a confirmed catch. Ehlinger capped off the drive with a one-yard touchdown run up the middle. Texas leads 7-3. Brown carried the ball on first down for a gain of two yards. West Virginia called Brown's number again on second down with a draw play that was sniffed out by the Texas defense for no gain. On third and eight, Grier looked deep and over the middle for Dominique Maiden, but the pass was batted away by the Longhorns defense. West Virginia punted the ball to the Texas 47-yard line. Sam Ehlinger completed his first pass to Devin Duvernay for a gain of nine yards. Ehlinger looked for Duvernay again -- this time on a slant -- which sailed incomplete. Keaontay Ingram picked up the final yard on third down to move the chains. Ingram carried the ball again on first down for a gain of two yards. 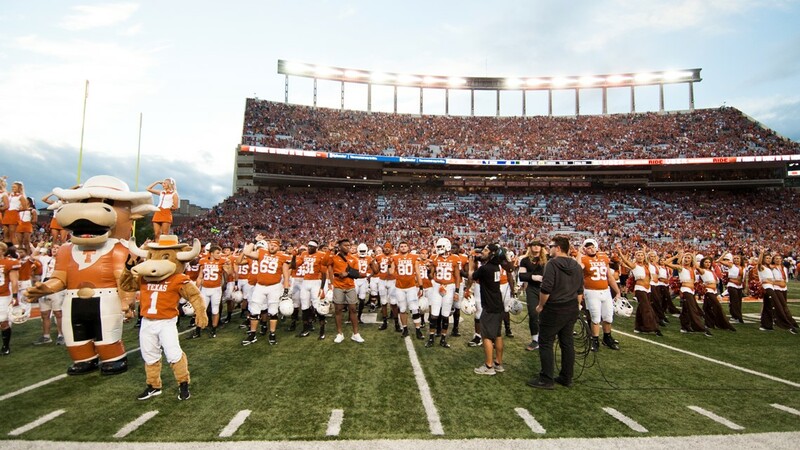 A false start penalty backed up the Longhorns to their own 38-yard line. Another Ingram rush picked up a gain of one yard to set up third down and 11. Ehlinger looked over the middle for Lil'Jordan Humphrey, but could not complete the pass. 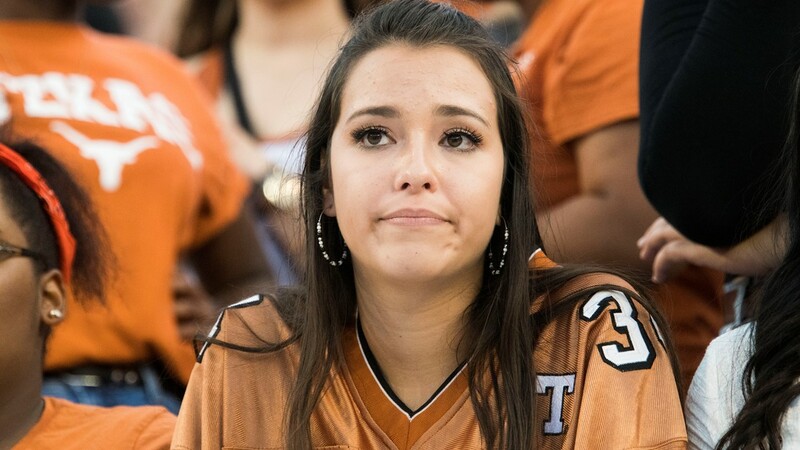 Texas punted the ball to the West Virginia 12-yard line. Will Grier completed a screen pass to the left to T.J. Simmons for a five-yard gain. Grier followed up with a swing pass to running back Kennedy McKoy for seven yards and a first down. 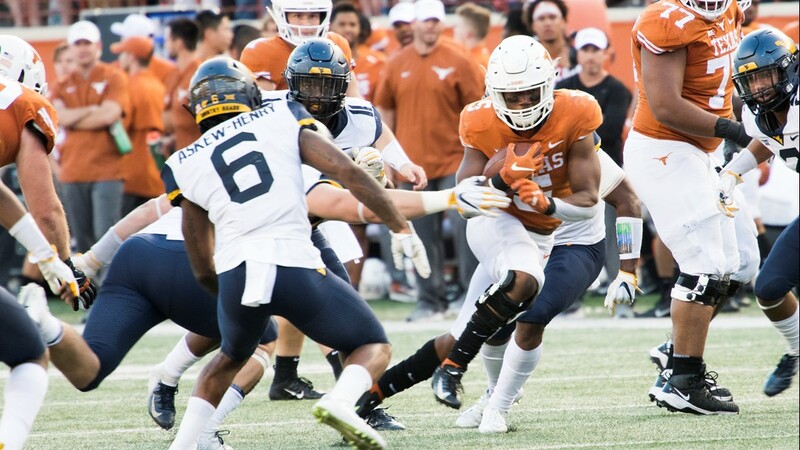 McKoy took back-to-back carries into Texas territory near the 40-yard line. Grier threw his first down pass over the middle, which was dropped, but his second down pass gained six yards. On third and four, Leddie Brown broke a few tackles to gain a first down for the Mountaineers. Grier completed a pass to his left, which gained five yards to the Texas 23-yard line. A false start penalty backed up the Mountaineers to the 28-yard line. Grier completed a pass to his left for five yards. On third and five, West Virginia committed another false start penalty. Grier followed the penalty with a shot at the end zone which fell incomplete. West Virginia scored a field goal on this opening drive and lead 3-0. 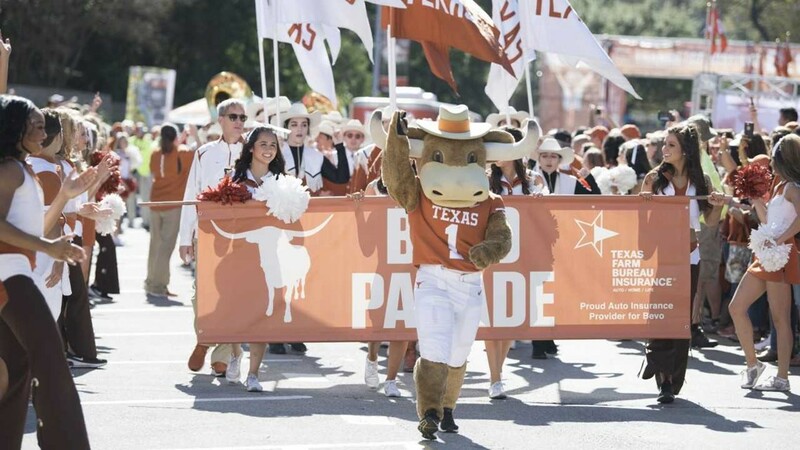 Texas limps back to Austin following a disappointing 38-35 loss to Oklahoma State, which essentially ends all hopes for the Longhorns to make the College Football Playoff. 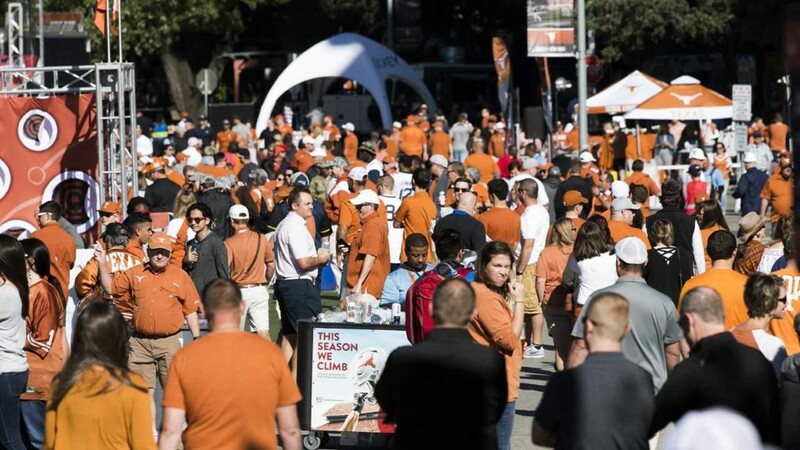 But, the Longhorns still have a chance to compete for the Big 12 Conference title. Also, Texas' arguably toughest remaining game is against this week's opponent: West Virginia. The Mountaineers' quarterback, Will Grier, trots his way into Austin as a candidate for the Heisman trophy. 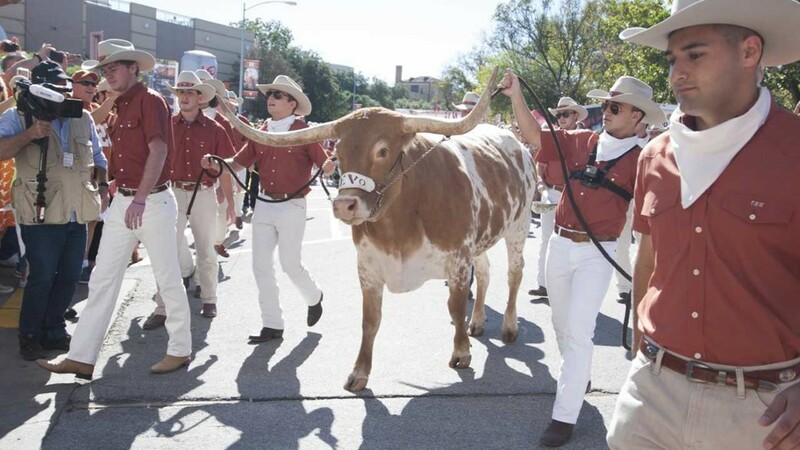 Meanwhile, Texas dropped in the rankings after the Oklahoma State loss, but the Longhorns remain undefeated at home this season with a 4-0 record. ESPN gives Texas a 51.0 percent chance of winning this game, according to its football power index. 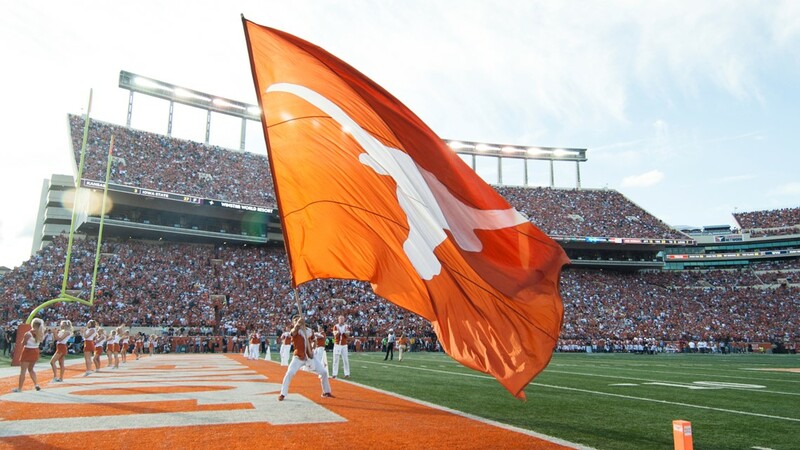 Kick off for Texas-West Virginia is scheduled for 2:30 p.m. CT on Saturday Nov. 3.